Top up your WPS Credit below! What is a WPS Prepay Account? To help speed up the process of ordering parcel delivery and to reward our returning customers, we’ve introduced our Prepay Account. 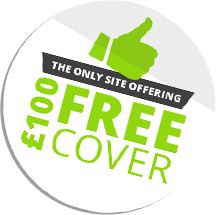 Add £100 of credit to your Prepay account we’ll give you another £5 of credit absolutely free! The accounts section will show all your previous shipments, and allow you to send the same parcel again, saving you time and money. How do I add more credit to my account? When your account is out of credit or whenever you wish to top up, you can simply add more by visiting the “WPS Credit” area within your account page. Specify the amount of credit you wish to add, and away you go. You’ll receive an email confirmation to indicate the credit has been added successfully. Visit your Account page and click on “WPS Credit” to show how much credit you have remaining. How long do I have to use my credit? WPS Prepay Credit is available for a year after your last order with us. You can order parcel delivery at any time, and your credit remains valid for a year after that date. Please Login, or Register, to access Prepay.